Usually I’m not one to cut up old books, but when I found this torn-up copy of one of my favorite books, Where the Wild Things Are, I couldn’t help but find a way to put it to use. A cute addition to a boy’s bedroom or nursery, this little 8 x 10 canvas is super easy to make and you can do it with any picture book you’d like! Without further ado, let the wild rumpus start! First, find the image you’d like to use for the background. I chose this one of Max. Using Mod Podge, glue the page to the canvas. Set aside to dry completely. While that dried, I cut out my monster and glued him to a piece of cardboard for added stability. Once the letters were placed, I used 3D stickers to attach them to the canvas. And there ya go! A cute picture to decorate your reading room or nursery! I recently watched a documentary about where your “donated clothes” go and it shook me hard. Try as you might to do the right thing and donate your gently-used clothes to charity, most of them just end up in a landfill. This was upsetting as I’ve dumped tons of clothes in those “donation bins” that may as well just be garbage bags. So I’m exploring new and creative ways to reuse my clothes, or upcycle them into something else. From DIY home decor to new trendy clothes everyone will love, here are 10 clever and fun ways to upcycle your old clothes. Embroider a fun design on an old tee shirt with this Embroidered Tee Shirt DIY. Have some left-over tee’s or fabric scraps? Create your own Fabric Twine, great for other crafting needs! Turn your favorite tee shirts into cute tote bags, perfect for grocery shopping! Some of dad’s old shirts can be transformed into sachets or coin bags. Combine two tee shirts to create this fun Reverse Applique Tee. Looking for something quick and easy? This DIY No-Sew Tassle Tee is a fun way to jazz up your wardrobe. Old jeans can be upcycled into a fun denim rug. Ripped or old clothes can be cut up and reshaped into a striking geometric pillow. Liven up a tired old button-down shirt by turning buttons into little ice cream cones! All this sweater needs is a little splash of pom-pom! To help celebrate Earth Day, here are a few cute and fun recycled crafts that are great for using up leftover trash or recycling. Most of them are budget-friendly and can probably even be made with stuff you already have in your house! Use an old Mason Jar to save up for an upcoming vacation. Decoupage a map of wherever you’re going for added motivation! Light up the night with these DIY Duct tape milk carton lanterns. Use an old toilet paper roll tube to create mock phone holder (and speaker!). Turn old wine corks into adorable place settings for any holiday or celebration. Turn plastic spoons into cute votive holders. A busted or broken sweater makes a suuuuper comfy pillow! Wine corks also make great trivets for hot plates and pans. Turn old jeans into a cute mat. Turn a box into a cute hair tie organizer. An old out-of-date purse makes a great wreath for hanging flowers on the door. Turn a plastic bottle into a cute planter. Finally, use toilet paper rolls and tubes to keep your desk organized and tidy. Easter is this weekend, which means there will be Peeps GALORE at every convenience store and grocery store for months to come. If you’re like my dad, you might even buy a handful of boxes and hide them in the back cabinet and “rediscover” them come June or July. But if you’re Peep’ed out and looking for some clever ways to use up those sugary chicks and bunnies, these 9 clever Peep recipes are bound to help you rediscover your love of these pastel sweets. From classic s’mores to Peeps martinis (WHAT), here are 9 Clever Ways to Use Leftover Peeps! Let me paint a scene for you…you run into Target for a bag of flour so you can satisfy that late-night craving for chocolate chip cookies or chocolate cake and you find yourself overwhelmed, no, BOMBARDED with 8 billion types of flours…what’s a amateur baker to do?! Well, worry no more! Today I’m breaking down the 11 most popular types of flour…what makes them work, what they can be used for, and what makes them different from their other cousins on the shelf. The main difference between most wheat flours is the amount of proteins they contain, which directly correlates to the ability of the flour to produce gluten. The higher the protein, the more gluten it can produce. So higher protein flours, like bread flour, are great for dense baked goods, like breads and pizza crusts…while low protein flours, like cake flour and pastry flour, are great for light-as-air muffins, cookies, cakes and pastries. Several flours can be mixed together for different flavors and to add nutritional value to whatever you’re making. So next time you make a run to the grocery store to stock up on flour, take a chance and give whole wheat flour a try! After reading this, you’ll have the “flour power” to be creative in the kitchen! This is the workhorse of all the flours. You can use it for pretty much anything and everything, unless your recipe tells you otherwise. In essence, bleached flour is the same as unbleached, but it’s chemically altered with bleaching agents (benzoyl peroxide or chlorine dioxide) to whiten flour and speed up production. Due to the processing, bleached flour often has less protein than unbleached, making it good for flaky pastries. Bread flour is high in protein, which allows for more gluten development when combined with water. Gluten allows dough to expand so, naturally, bread flour is great for making bread (go figure!). You can also use bread flour to make pizza dough, puff pastry, and even some cookies. Since whole wheat flour is made by milling the entire wheat kernel, whole wheat flour can be slightly darker, nuttier and higher in nutritional content than all-purpose flour. The bran in this flour makes it difficult to produce gluten, though…so whole wheat flour is often used in combination with another flour to make bread or other baked goods. It’s versatile and can be used for most recipes to add nutrition to whatever you’re making…just make sure to adjust the water amounts as necessary. Cake flour is milled from low protein wheat strains, yielding minimal gluten development. This makes cake flour amazing for baked goods like angel food cake, sponge cakes, biscuits, and muffins. Self-rising flour is pastry flour that also contains baking powder and salt. This flour is great for flaky and tender biscuits, muffins, pancakes, and some cakes. Most recipes that require self-rising flour will call it out as such. If your recipe calls for self-rising flour, you can also make your own by combining 1 cup pastry flour with 1 1/2 teaspoons baking powder and 1/4 teaspoon salt. Pastry flour sits comfortably between all-purpose flour and cake flour in the protein spectrum. It strikes the ideal balance between flakiness and tenderness, making it perfect for pies, tarts and many cookies. You can also make your own pastry flour by mixing all-purpose flour with cake flour. Though spelt is technically a form of wheat, it’s often an alternative to wheat flour because it’s easier to digest. It has a mild nuttiness, natural sweetness and can be used for most breads, pizza crusts, or cookies. Buckwheat flour is naturally gluten-free and it absorbs a LOT of moisture, making this flour great for pancakes, noodles and dense cakes. Rice flour has a granular, coarse texture and is also naturally gluten-free. It can be combined with other flours for a more workable dough. It’s great to use for sponge cakes, noodles, and light fry doughs, like fritters or tempura batters. Simply made from pulverized nuts, nut flours are very powdery and naturally contain no gluten. Of all the nut flours, almond is probably the most popular. These can be combined with other flours if desired for added flavor. Their flavor and texture make nut flours great for cookies and tart crusts. 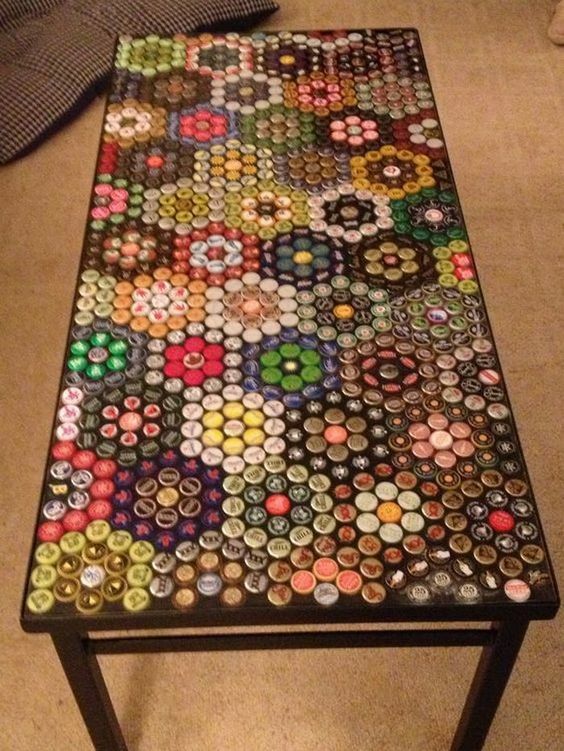 So earlier this week we explored some recipes you can make with beer, specifically stout and porters, so now let’s find a use for all those bottle caps that you have lying around the house! 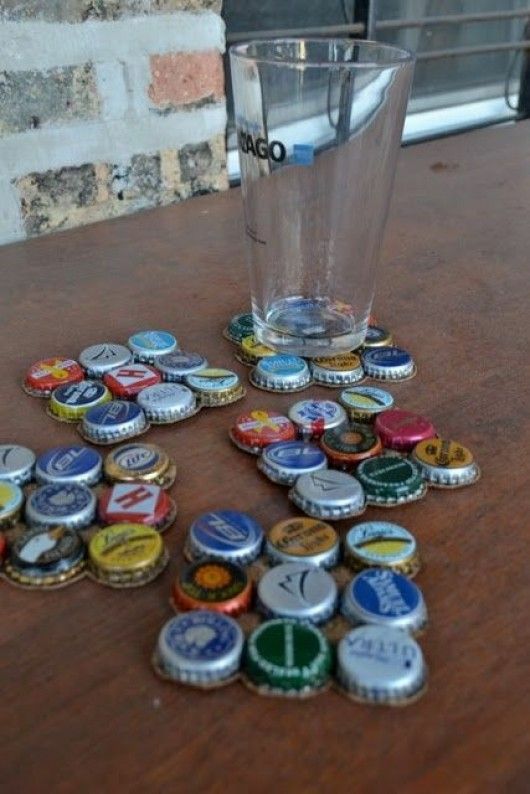 Make cute coasters for the den or bar with these bottle cap coasters. 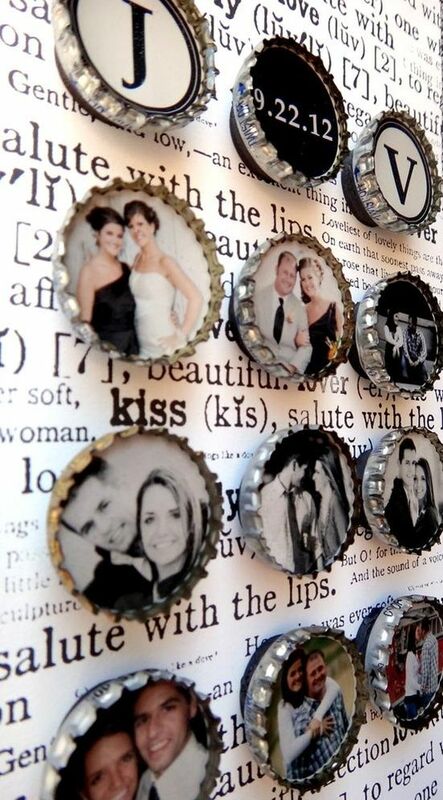 Show off your favorite wedding memories with these bottle cap magnets. Make adorable French macaron ornaments with bottle caps and glitter. 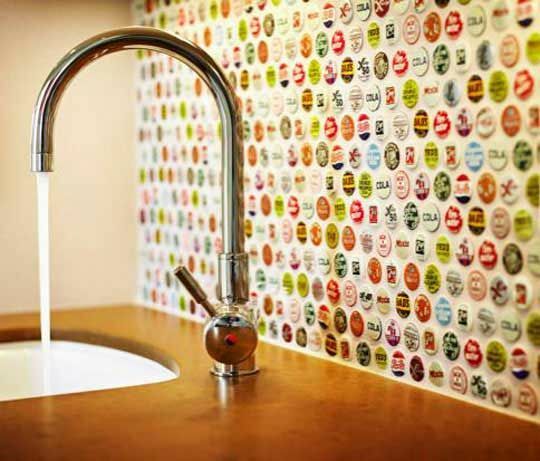 Create an amazing back splash by attaching bottle caps to the wall (this is one of my favorite ideas!). You know I love maps! 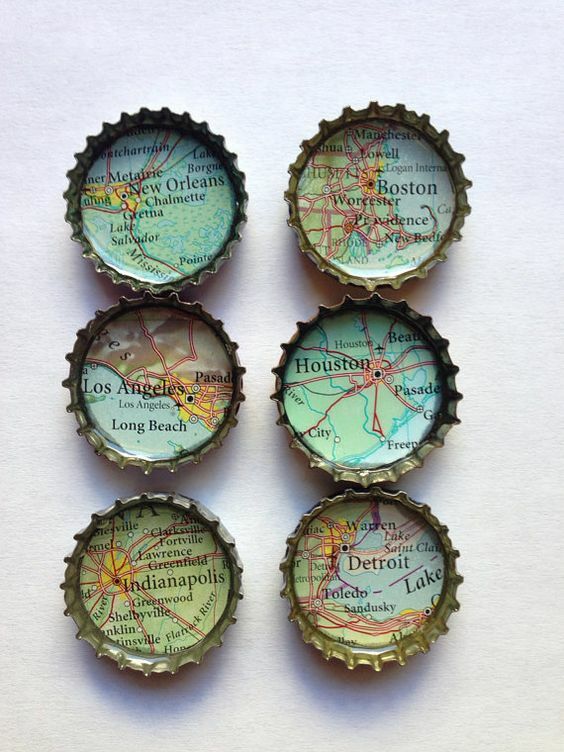 Show off your favorite places with these bottle cap magnets! 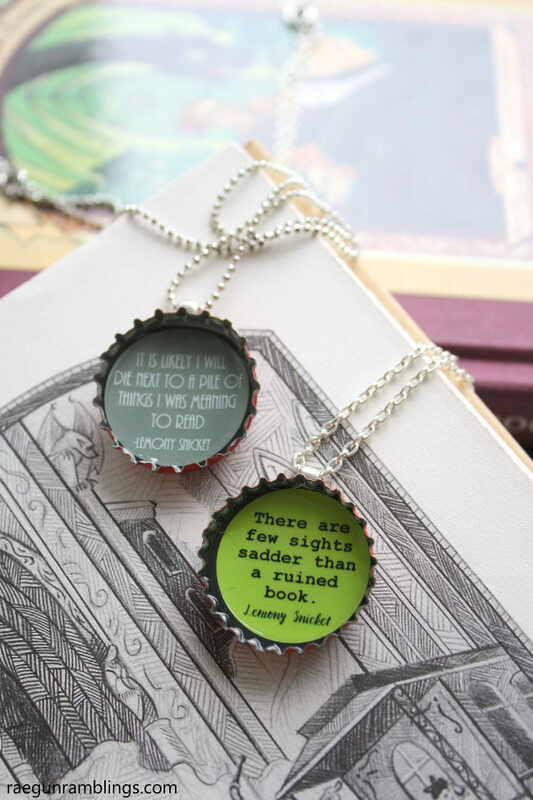 Turn your favorite quote into a necklace with these bottle cap charms. Keep track of your wine glass with these cute bottle cap wine charms. 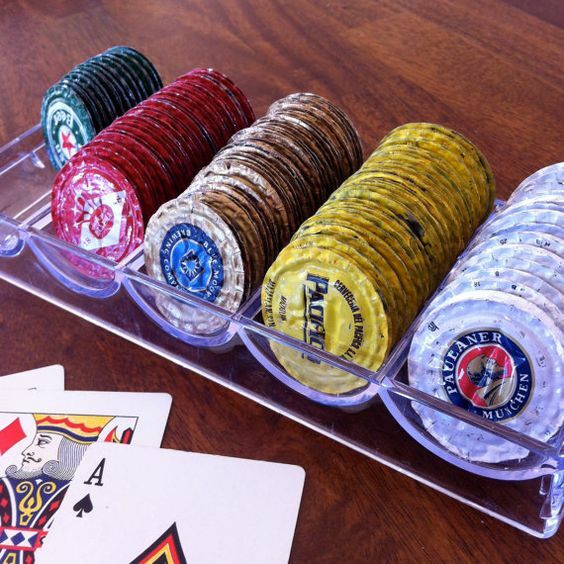 Create the ultimate poker game with these flattened beer bottle chips. 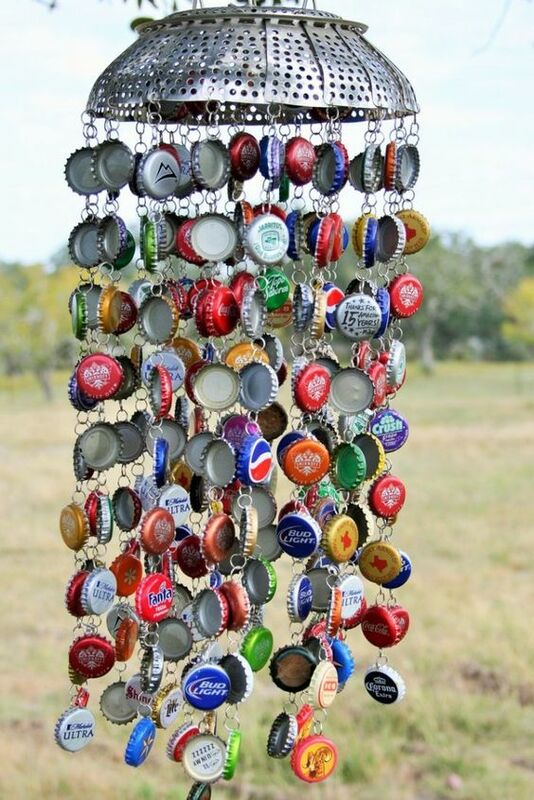 Or turn your cap collection into an amazing wind chime. So, you sew? 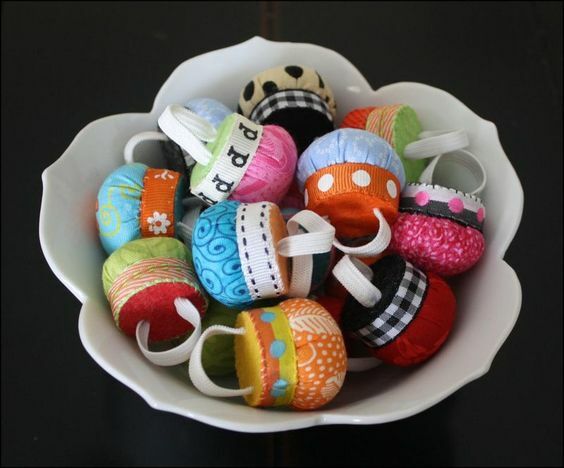 Try making these little pin holder rings to keep track of all your pins. I don’t know about you, but I love jamming out to my favorite tunes when I’m cooking. Maybe some Sinatra if I’m making pasta…maybe some bluegrass if I’m making some down-home stick-to-your-ribs comfort food…or, if all else fails, I’ll just pop on Pandora and hit shuffle! So instead, I’ve found a crafty way to keep track of my phone AND hear my music better when I’m cooking! The solution, funny enough, lies in your bathroom. Yes, I’m talking about toilet paper rolls. Love em or hate em, these buggers are pretty useful around the house…and this little DIY Phone Speaker is a clever way to use it to your benefit. All you need is some paper or Washi Tape to dress it up! Make sure you put your phone or device into the holder speaker side down, which will help pump out the sound so you can jam to Dr. Dre when you’re cooking, cleaning or just chillin’ on the couch. Place your phone on top of the toilet paper roll and trace around it to measure how big your hole will need to be. Use a buddy to hold the toilet paper roll or tape it to your desk to prevent it from moving around. Using a craft knife or scissors, cut out the hole. Now it’s time to decorate! You can use Washi Tape to decorate your phone holder quickly, or use patterned paper to glue onto the toilet paper roll. Push one push pin into front and back of each round side of toilet paper roll. Place your phone in the holder and jam out to your favorite tunes!